Esteph has been in the business of ocean going transport and freight forwarding for more than 100 years. Our founder Emil Stephensen was a well-established forwarder. He began his venture in 1898 when he opened an office on Amaliegade 31 in Copenhagen – close to the Copenhagen Freeport and the former main customs house ‘Toldboden’. August Gihm became our first managing director. He was also co-founder of the Danish Freight Forwarders Association, which was established in 1909. The name ‘Esteph’ came in use in the 1950’s. At that time, our company was officially named ‘Emil Stephensens Eftf.’. However, our telephone operator found it easier to shorten the name to ‘Esteph’ when greeting incoming callers. Soon, more people, both internally and externally, began to use this shortened version alongside the official name. Later, when we entered the business area of liner agency, it was decided to use ‘Esteph’ as name for the new liner agency department and keep the name ‘Emil Stephensens Eftf.’ for the freight forwarding department. Today, as we have become a sole liner agency, we only use the name ‘Esteph’. In 1965, Esteph moved its office to the Copenhagen Freeport. Today, our main office is still located in this area, which is now called Nordhavn. In 1970, Esteph was responsible for discharging the first Datsun (Nissan) cars to arrive at the Copenhagen Freeport. Following this, we became agent of prominent Ro/Ro liner services, including Nissan Motor Car Carrier, Ugland Lines and Höegh Ugland Auto Liners (now named Höegh Autoliners). This meant that car transport became a core business of Esteph. Until 2012, Nissan and Chevrolet cars, among others, were imported to Denmark through the Port of Copenhagen by Nissan Motor Car Carrier and Höegh Autoliners, with Esteph as agent (either directly or through our feeder lines). Today, we are still heavily involved in auto transport. However, new cars are now imported to Denmark through the Port of Esbjerg, with Esteph as agent of Euro Marine Logistics. In recent years, our principal Höegh Autoliners has increased its focus on breakbulk and project cargo. The company has invested in a fleet of new vessels and roll-trailers, specially designed for carrying long, heavy breakbulk cargo. As agent of Höegh Autoliners, we have seized this opportunity to offer our customers cross trade solutions for breakbulk and project cargo. 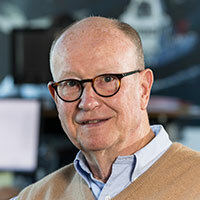 Nils Toftgaard has been the director of Esteph since 1981, and became the owner of the company in 1998. In 2013, Niels Winther Shipping bought the company as part of a generational shift. Today, Nils Toftgaard is director of Esteph alongside Michael Lodberg and Philip Bronee. In 2018, Esteph became the agent and commercial representative of CargoGulf, one of the biggest NVOCC operators in the world. This partnership has enabled us to expand our shipping services to freight forwarders in Denmark. We have now opened a new NVOCC division in the company, to offer worldwide solutions for smaller shipments – both LCL and FCL.